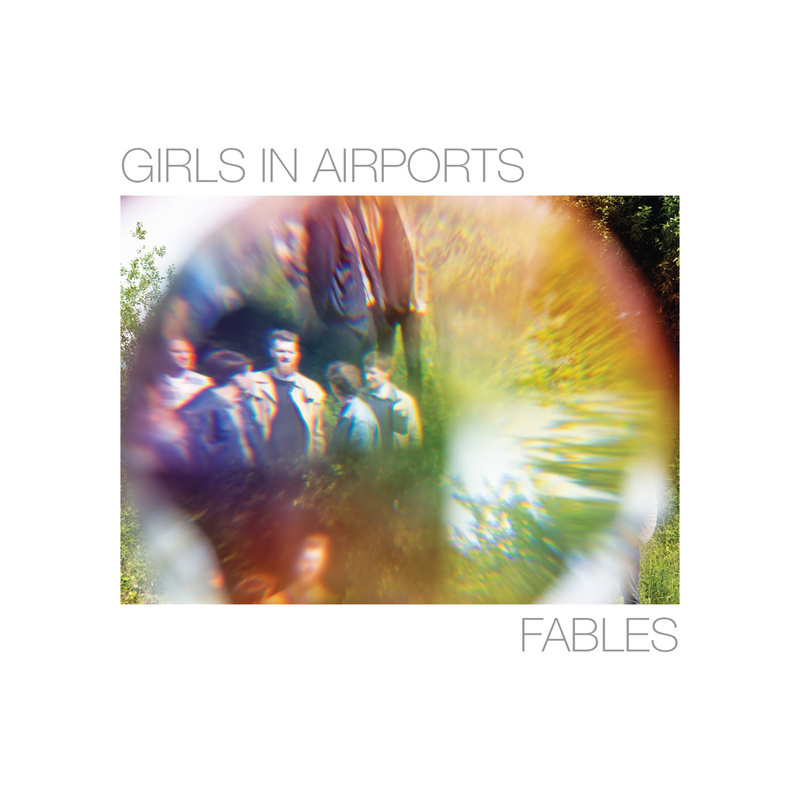 The music of Girls in Airports is a kind of updated UFO music, reminiscent of Joe Meek’s Telstar. Fables is built according to a Morricone principle: ‘infuse the best avant-garde techniques and sounds into your popular moods and themes’. Every piece starts with a melodic ostinato followed after a while by spouting showers of percussion. The Girls’ knack is their delicate timing in a wavy oscillation between horns and percussion. The moments of well-judged deceleration increase both the tension and the flow. Girls in Airports operate somewhere in the space between Nik Bärtsch’s Ronin, Danish pop group Efterklang and the Amazonian experimentalism of Uakti, brewing their own swiftly curving, hovering lines. Fables does indeed seem an apt title, considering their expertise in transporting the music into a dreamy, fairy-tale feel. Girls In Airports are Martin Stender and Lars Greve on saxophone and clarinet, Mathias Holm on keyboards, and Mads Forsby and Victor Dybbroe on drums and percussion. The percussive wave in Fables, the opening piece, goes together with wild multiphonics of Greve’s clarinet whereas Sea Trail has something of a children song. The clarinet gives it a Jimmy Giuffre feel. The horns of Greve and Stender carry and support each other throughout. Randall’s Island is a UFO piece in full swing, with balafon sounds and a reggae feel. Mamatus and Aftentur are hazy, dreamlike. Followed by the Steve Reich-inspired Aeiki the music merge into the strong groove of Dovetail with a beautiful repetitive motif, Gnawa castanets, and a wonderfully embedded Oriental clarinet.